The cat is out of the back. Two weeks after Thomas Tuchel supposedly turned down FC Bayern München the Rekordmeister have ended their hunt to find a replacement for Jupp Heynckes by signing Eintracht Frankfurt head coach Niko Kovac at the end of the season. 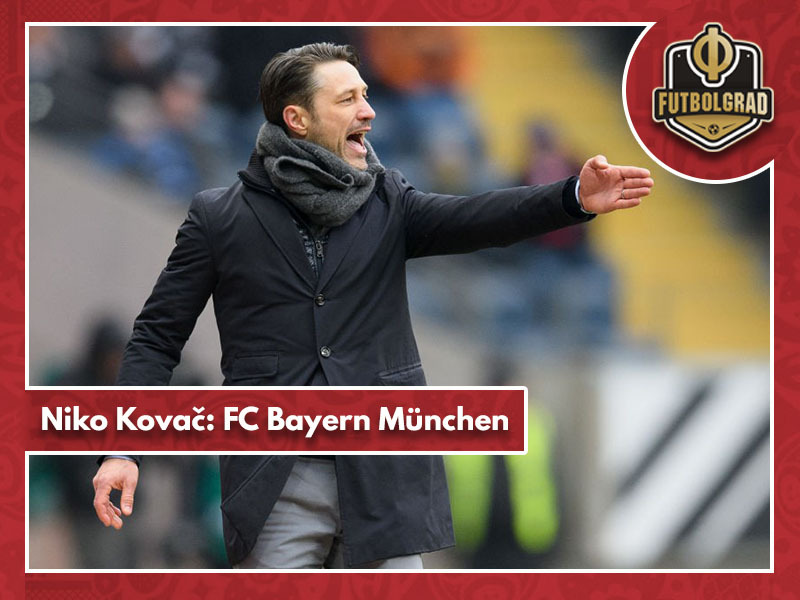 Listed among the candidates on the Futbolgrad Network to replace Thomas Tuchel Kovac is on a first glance a surprising signing by the Bavarians – although successful over the last two seasons at Eintracht Frankfurt Kovac does not have a long track record as a club head coach. In fact, by the time Kovac will start his job at the Säbener Straße on July 1, 2018, the native of Berlin will have just completed his second full season in charge of a Bundesliga club team. Before his job in Frankfurt Niko Kovac coached the Croatian national team and worked as an assistant at RB Leipzig’s sister club Red Bull Salzburg in Austria. It is true that Kovac was very successful in Frankfurt the last two years and could at the end of the season lead the Eagles to their first-ever participation in the UEFA Champions League group stage. But Kovac also had the Frankfurt bubble burst late last season with Frankfurt collapsing after a strong start to the season. Kovac – Is he the right fit for Bayern? The former Croatian national team player made the necessary adjustments this season to strengthen Frankfurt’s squad both in depth but also in character. Signing the likes of Sebastian Haller, Luka Jovic and Kevin-Prince Boateng, among others, proved to be a masterstroke by the head coach and his sporting director Fredi Bobic. All the key signings made a significant impact. With the new key signings and Kovac’s extended experience the bubble did not burst this season and Frankfurt are still going strong despite playing a physically demanding type of football. That physically demanding type of football, however, leads to the second question when it comes to Kovac’s compatibility with the Bayern job. If Thomas Tuchel was the German equivalent to Pep Guardiola, then Niko Kovac is the German equivalent to Diego Simeone. Like Atlético Madrid Frankfurt play a hard press football at the very edge of legality. Frankfurt’s game first and foremost combines work ethic with technical brilliance. Kovac’s players are the street fighters of the Bundesliga. That sort of mentality has its beauty, and the example of Atlético Madrid shows that this sort of power football is beautiful. But is it compatible with Bayern? Ever since the treble era, Bayern have tried to define their brand of football. That brand of football was supposed to be the Bavarian version of Barcelona, and that is the sort of football that at first glance is not compatible with the way Niko Kovac sees his teams operate. At a second glance, however, the signing makes sense. In fact, Kovac could even be categorised as a typical Bayern signing. Kovac has an exit clause anchored in his Eintracht Frankfurt contract that allows him to complete the move for just €2.2 million. Furthermore “he’s had a wonderful season with Eintracht, and he’s learnt from the mistakes of the last campaign. He is much more composed as are his tactics. He get’s the club, he should succeed,” as Futbolgrad Network’s Associate Editor Chris Williams pointed out on SiriusXM. Williams is right. Kovac “get’s the club”. The 46-year-old spent between 2001 and 2003 at Bayern München – his brother and assistant coach Robert was at Bayern even longer playing for Bayern between 2001 and 2005. That past Bayern pedigree is very important for the Bavarians. Although Kovac’s football philosophy is not necessarily compatible with Guardiola’s tiki-taka school of thought, the Bavarians were never really married to that philosophy anyhow. Current head coach Heynckes, for example, combined elements of tiki-taka with more flexible elements of high pressing and long-balls played from the back. In fact, the only thing that matters to the Bayern bosses is that their club is dominant both at home and on the road. Dominance and confidence is certainly part of Kovac’s football. Furthermore, recent signings like Niklas Süle from Hoffenheim, where Julian Nagelsmann at times takes a similar tactical approach, shows that the Croatian’s idea of 3-5-2 football based on possession and enforcement could work. With questions of compatibility answered there is another point to the story. Bayern like to poach within the Bundesliga. They need to bring in players and coaches that get the league. Germany can be a culture shock for foreign coaches, as Carlo Ancelotti and even Pep, at times, found out the hard way. This means that once again a possible opponent, however, will be weakened. Eintracht, in fact, will feel hard done by. 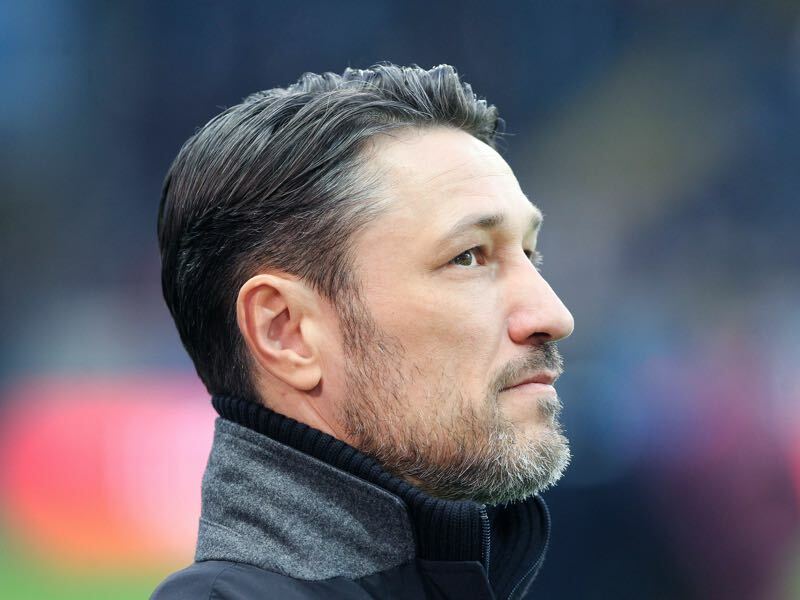 Kovac told German media in the past that “everything is possible in football.” But Frankfurt were under the impression that Kovac would stay in Frankfurt as he was already planning the coming season. That impression now in retrospect turned out to be false, and Fredi Bobic will now have the massive task to replace a coach that was understood to guide Frankfurt to the next level. Kovac seems to be a very flexible coach—he tinkers a lot with formations,mostly using three at the back.It would be interesting to see whether would he stick with this and make the team adapt or adapt himself to the team.The future seems exciting.